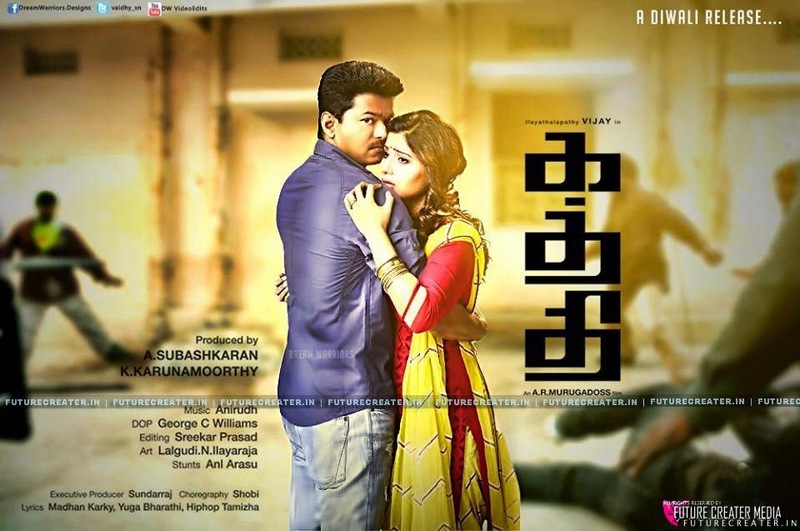 The trailer of Vijay starrer "Kaththi" was expected to release last weekend. But till now, there are no signs of its release. Now, we hear that the trailer release has been delayed intentionally and it is likely to release 48 hours before the film release. Indeed, the delay has frustrated the fans, who have been waiting to see the latest video clip with bated breath. The first reason is that the makers of the film did not want to get into unnecessary troubles. In many cases, there were objections over the content after just watching a film's trailer. And Vijay's latest film has been facing a lot of issues. So, the delay in the trailer release will ensure that the flick will have a trouble-free release. This is also evident in its low-key promotions. Usually, a Vijay starrer is publicised well. This time, we cannot see much of it. Another reason is that the delay might disappoint Vijay's fans but it will definitely increase the curiosity levels of the fans. Considering these two reasons, the makers have reportedly delayed the release of the latest trailer. Vijay's "Jilla" trailer was also delayed and came out just a day before the film released.